I’m having no luck on this one, but hopefully you will. 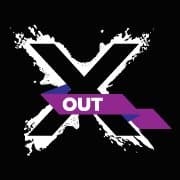 Click here to visit the X Out facebook and like them. Then on the “Declare Your Manifesto” tab, you should be able to request a freebie. didnt work with firefox, went thru when I used chrome! filled the form out but didn’t get any confirmation. How do I know if it went through or not? Worked on first try. Thanks! Still can’t get into the x box acne.